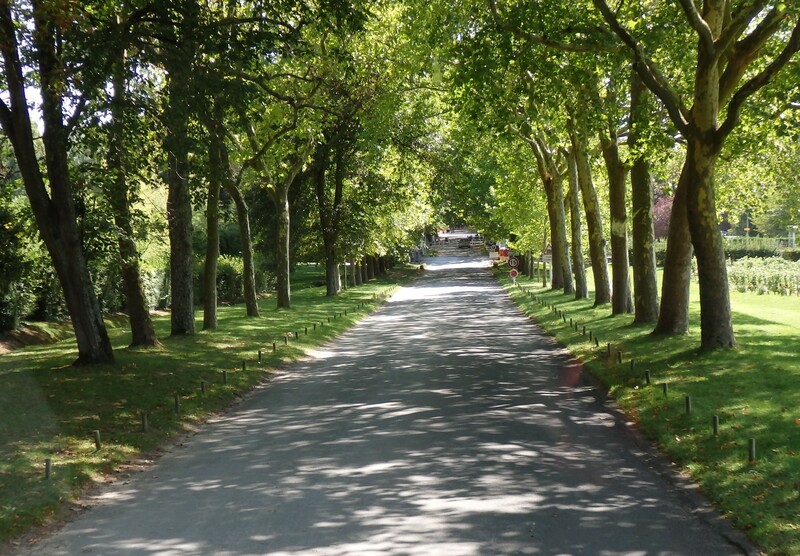 The Loire Valley is a rich area of gardens and orchards, inhabited since the middle Paleolithic period. 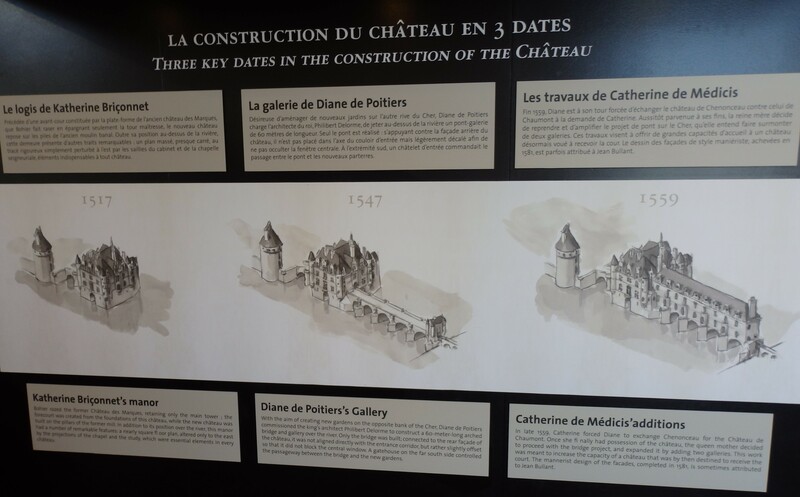 Famed for many Chateaux, the one I visited was Chenonceau, built between 1556 and 1576. It spans the river Cher and was a gift from Henry 11 to his mistress, the lovely Diane de Poitiers. She adored the chateau and made extensions, also engaging a landscape architect to design magnificent flower and vegetable gardens. When Henry died, his widow and regent, Catherine de Medici, forced her rival to exchange Chenonceau for another castle – not exactly a hardship but it must have been annoying to abandon a home which had made her happy, and one in which she probably hoped to end her days. additions over the years, with beautiful galleries on two levels, and wonderful views over the water. 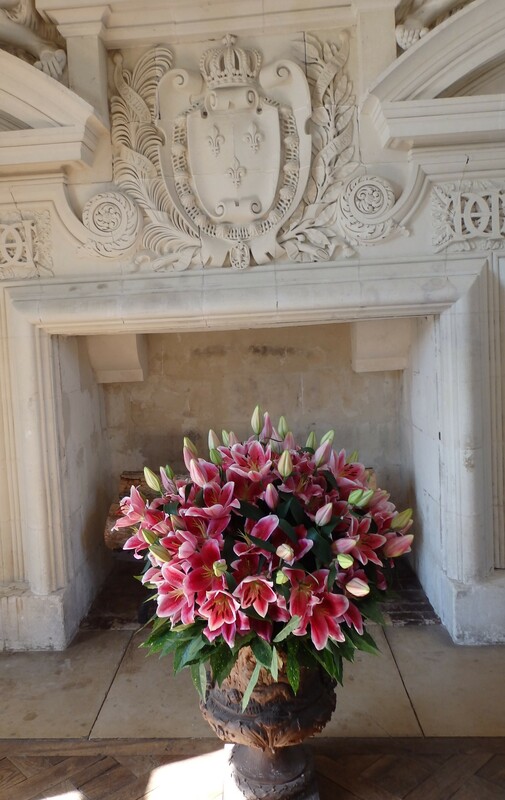 On the day I visited it was redolent with the perfume of lilies; delightful flower arrangements from the gardens filled every room. 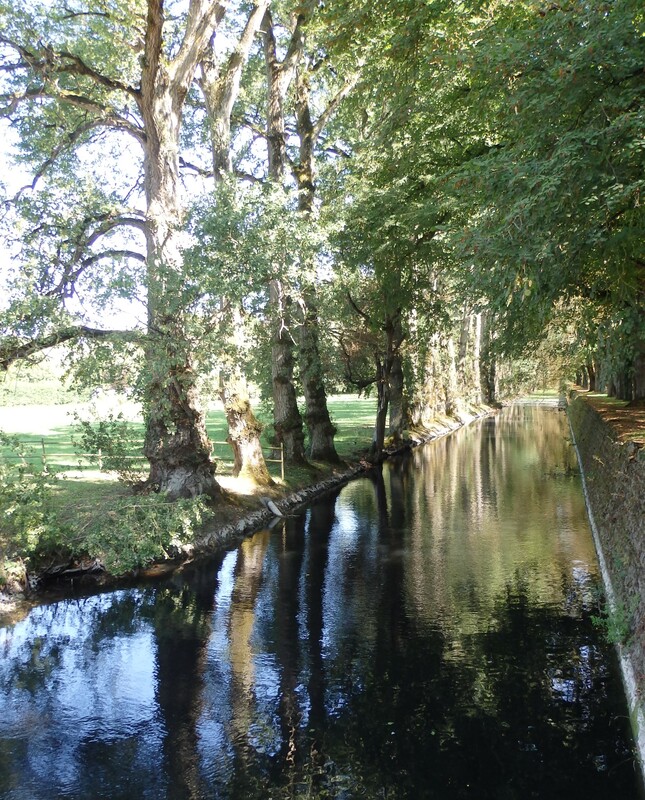 During the First World War, Chenonceau became a hospital. It treated over two thousand two hundred and fifty four causalities. On the 31st December, 1918, the last patient was discharged from the chateau. The castle spans both banks of the river. The little adventure I am about to relate is funny now, but seemed a crisis at the time! Late in the afternoon, ready to leave, I faced a locked door at one end of the gallery. Convinced it was the one where I’d entered, and thinking the coach was in that direction, I asked how to reach the opposite bank. I was dismayed when a receptionist told me the door couldn’t possibly be opened: I’d have to cross by the bridge. Far off in the distance, I could see le pont, and she confirmed my worst fears by saying it was a long way. Amazingly, they understood my French and responded in kind. A woman nearby immediately offered to show me the way. What a fool I felt. I’d been on the correct side of the river all along! We chatted in French all the way, a rare chance to do so, with everyone except the guide speaking only English. I arrived five minutes before the coach was due to leave. Phew! I always enjoy your blogs. 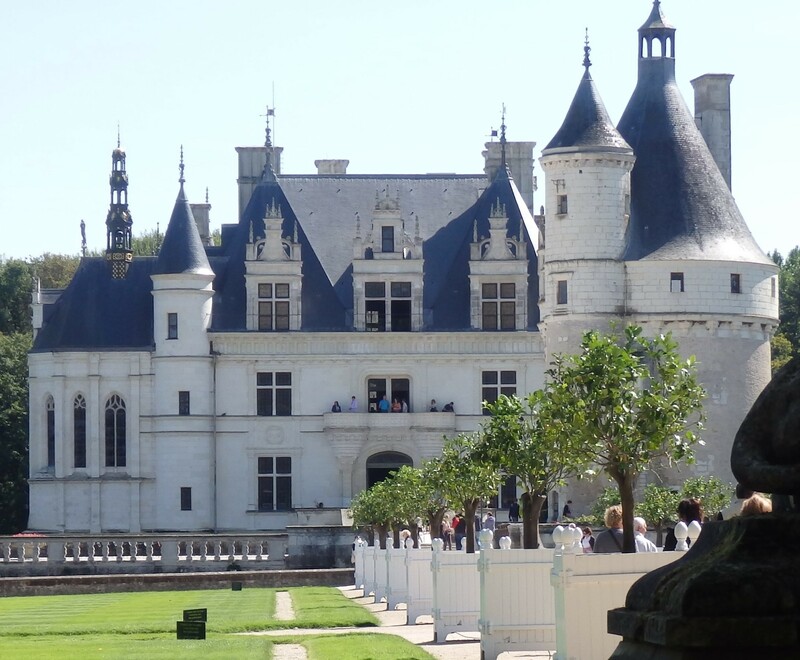 I spent an enjoyable morning at Chenonceau in June 2011 and was entranced by the beauty of its classic buildings, art and its waterways. In one of the waterways I saw – of all things, an otter surfacing in the midst of a carpet of azolla water fern. Glad you enjoy them – more are to come when I get organized. My computer died while I was away, so I’ve been offline for several weeks, with about five hundred emails in my boxes to sort through. It’s awful to be without the internet, there’s always something to clarify or research. And writing out poems by hand takes a lot of effort: it’s hard to avoid errors. Meanwhile, we have the Bare launch on Tuesday the 10th November at the NSW Writers Centre. Glad it’s almost over so much work and angst this time. I am so glad you are having such a nice time. It would be nice to have a visit when you come home. I’ve just got my computer back after repair – it died while I was away.There are about 500 Emails to answer or delete. Yes it would be lovely to meet up soon. I’m busy most of November but we do have the launch of our latest Anthology, ‘BARE’ at the NSW Writers Centre, 6PM on Tuesday 10th November. I’m off to Queensland on the 13th November for the Toowoomba Writers Festival – should be fun!